Tuesday night began our spring break adventure! 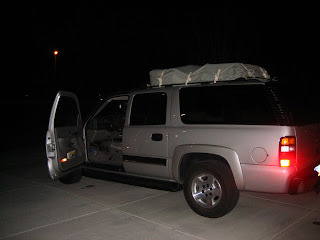 We squished 9 people into my parent's suburban, luggage stacked nicely on top, and left Kaysville at approximately 9:30 pm :) Even though our cruise didn't take off until Thursday, we decided to drive through the night and get to L.A. just in time to spend the day at Six Flags Theme Park. . . .
After a crazy 11 hour drive, we grabbed some quick breakfast at IHOP in L.A. and set out for six flags! We were so excited and positive we were the first ones there! But to our dissapointment, we turned the corner and this is what we saw. . . . The park was closed! All that driving and loss of sleep for nothing! 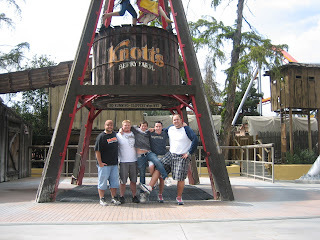 Luckily we were able to laugh about it and after taking a vote, decided to go to Knottsberry Farm. Back in the car we went for one more hour. Finally, some rollercoasters! We all decided we are getting old because we all got sick after the very first rollercoaster! Regardless, we still had a great time! After Knott's we drove another 2 hours to San Diego, where our cruise was taking off from, and most importantly, where our hotel rooms were! We needed sleep! 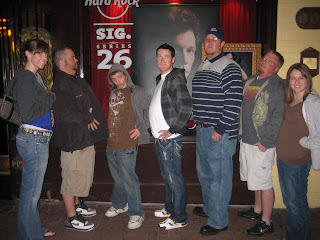 So after a long nap we walked to the gas lamp street and ate our hearts out at The Hard Rock Cafe. 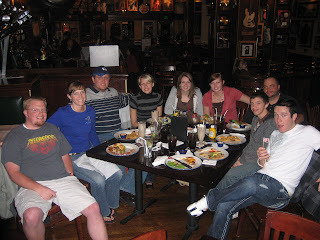 The next day we spent some time shopping and roaming San Diego, then it was finally time to board our ship! Even though the weather wasn't as warm as we expected, I had such a blast and would do it over again in a heartbeat! Mexico was so much fun and I came home with some fun treasures! Cruising is definitely the way to go! It was a perfect way to spend spring break. Thanks Jord, Steve, Darrin, Mark, Derek, Sara, Shyla and Whitnie! Below are some more pics from the cruise! you look so pretty! I love the pictures. It looks like everyone had such a good time. I want to go on a cruise, I hear they are super super fun and worth it and pretty reasonable. Miss you girl! You are a cutie pa tootie (I improvised on the spelling there). I keep hoping I'll see you up at Weber one of these days. Thanks for the update, looks super fun. what a good birthday present! Looks like lots of fun! You look beautiful! I freaking hate you for going on a cruise... my jealousy is raging right now! How fun! Bummer about Six Flags though! Booooo :( I wonder why it was closed? You should have gone all Griswold on the park!! 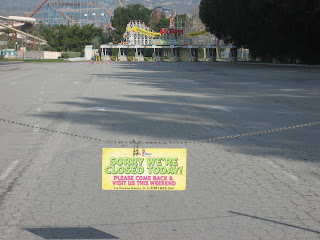 Seriously, what are the odds that the park would be closed!? Thats crazy but it looks like you guys still made the most of it. I've never been on a cruise and this is making me want to go bad! By the way, you look gorgeous as always! Cute Pics! 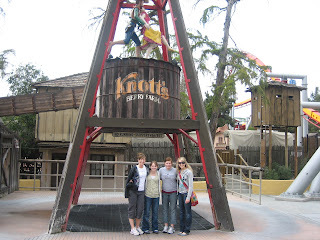 We love Knotts Berry! Wow Tori, what a crazy adventure. I am super jealous, well except for cramming 9 of you in the car. Tori, its about time Jon and I come see Big Bruce! Are you still working there?